There is an improved new edition of this book available, hence this first edition is no longer available for sale. This book is about Business Process Management (BPM) and Business Process Model and Notation (BPMN 2.0). 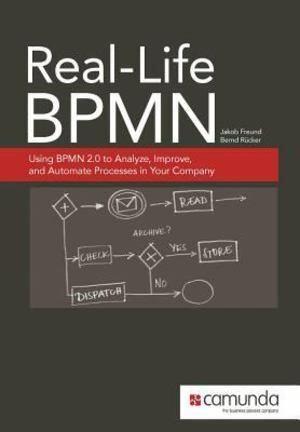 Truth be told, there are several BPMN books on the market. Some of them are quite good, so why should you care about this one? This book distills the experience the authors accumulated while running camunda, a consulting company that specializes in BPM. camunda helped to define the BPMN specification, and during the past five years, they have applied BPMN in over 250 customer engagements. These were big businesses, small companies, and public institutions. Now you can benefit from this practical experience. Topics covered: The basics of modeling processes with Business Process Model and Notation (BPMN 2.0) Methods to apply BPMN successfully to real-world problems A practical approach for automating processes with BPMN 2.0 The alignment of business and IT as an attainable goal Advice on introducing BPMN across your company This book explains the notation, of course, but it also delves into the kinds of challenges that process designers face every day. It talks about pitfalls to avoid. It gives dos and don'ts. There are guidelines and best practices. This first edition in English is based on the successful third German edition, which, according to amazon.de, it is still the highest-ranked book on BPMN in German. The number of five-star ratings awarded by readers speaks volumes. Also available in Spanish.